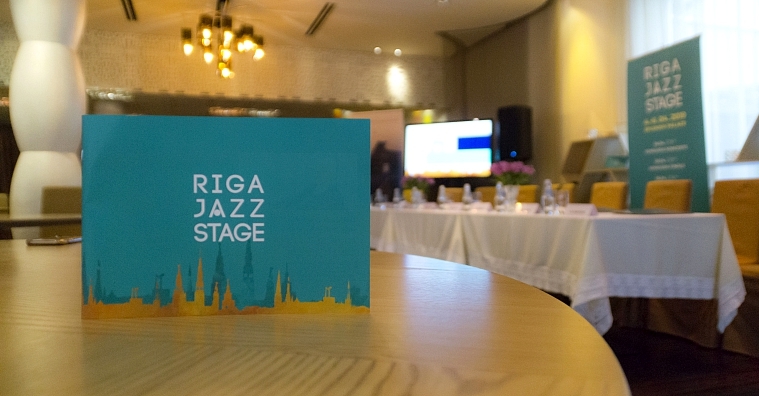 The press conference of “Riga Jazz Stage 2019” was held at the cozy premises of restaurant “Kaļķu vārti” on Thursday, March 14th. Director of the contest Diāna Briežkalne, artistic director of the contest Māris Briežkalns, member of jury Maestro Raimonds Pauls, head of marketing of company “Tele 2” Ilze Žukova, head of public relations of company “Olainfarm” Dana Hasana, as well as contestants of “Riga Jazz Stage 2019” – vocalist Santa Šillere and pianist Artis Andersons – were all taking part at the press conference. The conference was opened by the artist director Māris Briežkalns, who thanked all of the long-standing friends and supporters, without whom the contest wouldn’t be as it is today. 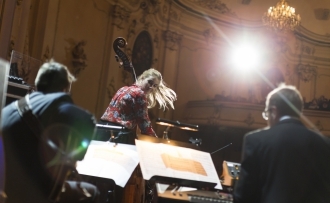 M.Briežkalns also noted that 56 young jazz talents from 24 countries applied for this year’s contest. He also noted that this is the first time in the history of the contest with participants from Asia taking part – Japan, South Korea, and China. Member of the jury – Maestro Raimonds Pauls – admitted that he is pleased that the contest continues to develop and grow every year. It is also great that young pianists take part in this year's contest and, as Maestro admitted, it is important that the pianist can play on a quality instrument. It should be noted that, as usual, at the award ceremony, Maestro will present his special prize to one of the participants. Head of marketing of company “Tele 2” Ilze Žukova draw similarities between business and jazz and admitted that there is improvisation in both. Jazz was revolutionary in its origins, as are technologies nowadays. Company “Tele 2” has been following the growth of the organizers of the contest throughout the years and appreciates their significant contribution of jazz events in Riga. Head of public relations of company “Olainfarm” Dana Hasana told that the company has been together with the contest for 10 years and the partnership was built upon the idea of late Valerijs Maligins who wanted to bring quality World-level jazz music events to Riga. D.Hasana appreciated the international resonance of the contest and admitted that the main goal - to gather new talents and give them the chance to be a star – justifies itself more and more each year. Participant of this year's contest, vocalist Santa Šillere, said that the encouragement to participate in the contest came naturally because it is an unwritten law for every young Latvian jazz artist to participate in the “Riga Jazz Stage”. It is an important reference point and a serious contest to take part in. 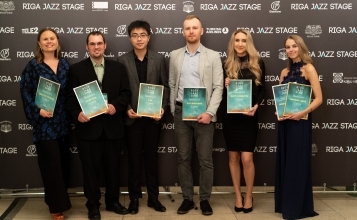 Pianist Atis Andersons also admitted that applying for the contest was motivated by the fact that “Riga Jazz Stage” in an important turning point for each young jazz artist in Latvia. 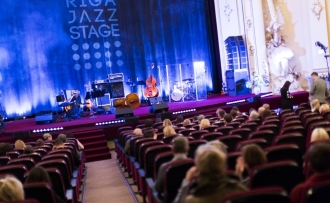 “Riga Jazz Stage 2019” will take place on April 3 – April 6 at the cinema “Splendid Palace” gathering 26 vocalists and pianists from 15 countries. The Artist in Residence of 2019 is Portuguese jazz diva Maria João who has become iconic thanks to her unique style and vocal flexibility. Partners of the contest: “Tele2”, “Olainfarm”, Freeport of Riga, LIVE RIGA, Riga City Council, State Culture Capital Foundation, A&T Trade Music. Supporters: restaurant “Kaļķu Vārti”, hotel “Europe Royale Hotel Riga”, “Turkish Airlines”, official transport – Domenikss. 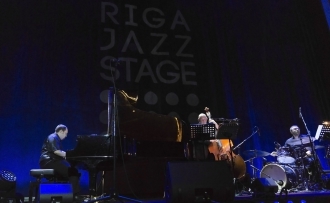 Jazz talents meet in Riga!